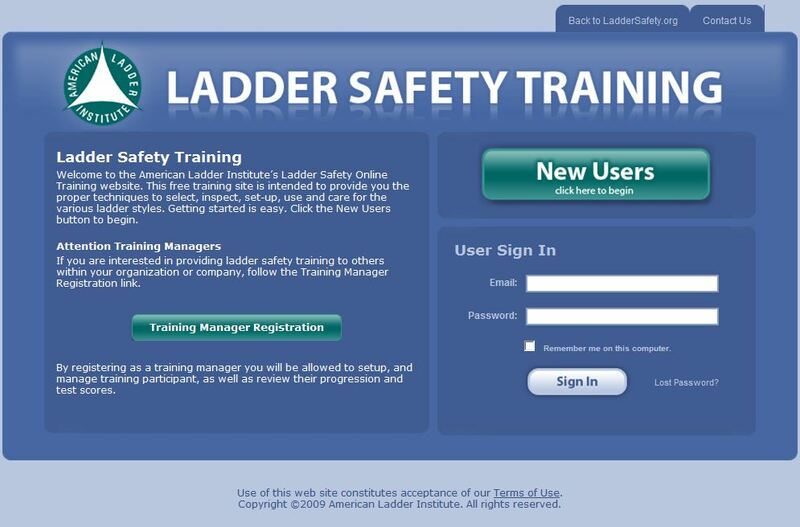 The American Ladder Institute is pleased to offer a free Multimedia Training Program regarding ladder safety at laddersafetytraining.org. The professional online ladder safety training modules are designed for use by contractors, unions and tradespeople as well as at-home users. The modules have been created by ladder type and have accompanying test questions that are scored in order to receive a certificate of completion - at no cost. All modules are offered in English and Spanish. Rather view the ladder safety training videos offline? You can purchase DVDs of the ladder safety training modules through our online store. This is for Members that would like to purchase a sponsorship in order to sponsor either the ALI Fall Conference or the ALI Spring Conference Associate Event.